The counting frame and systematic random sampling can be used to estimate the number of objects without bias. A very common example is the number of cells. Tissue sections of any orientation, including a preferred orientation may be used. This is because a unique point on the particle is counted, and a point looks the same from any direction. If you keep track of the volume fraction and extrapolate to get the estimate, it is called the fractionator method. 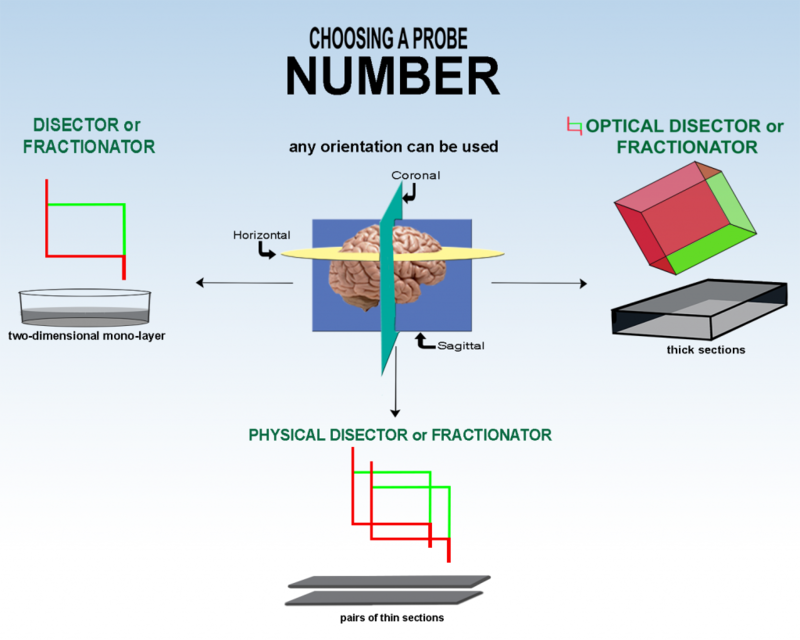 If you calculate a numerical density it is called the disector method, an example of the NvVref method. C.V. Howard and M.G. Reed, 2005, The 2D Fractionator, section 12.2, ‘Unbiased Stereology Second Edition’, Bios Scientific Publishers, NY, New York.